I recently returned from a once-in-a-lifetime photographic trip to the Antarctic Peninsular where I shot almost 7,500 frames in under 6 days. A phenomenal number of frames by anyone’s standard, but as a member of a 73 strong group of photographers my frame count was probably on the low side, and probably very low compared to some I saw. At the end of our trip, during one of the lectures from one the lead photographers and organisers, we we asked to raise our hands if we had captured any 5-star images. The vast majority of the party raised their hands, but I did not. That got me thinking about what exactly constitutes a 5-star image and is what I consider a 5-star image similar to those other photographers? … apparently not so it would seem. Don’t get me wrong, I did acquire many good images that I’m perfectly happy with, but just not quite 5-star images in my book. Of course when I talk about star ratings I’m referring to the system of being able to assign a rating from zero to 5 stars to a digital image, usually in a DAM (Digital Asset Management) program such as Adobe Lightroom, Apple’s Aperture, or Adobe Bridge. It’s not just stars you can assign either, you can flag a photograph as a pick or reject and also assign colours, but for most the system of assigning stars seems to be the favoured method of rating their photographs. I’ll refer to Adobe Lightroom from now onwards, as this is my preferred DAM/RAW processor of choice, but it’s similar to the others mentioned above. In Lightroom you can assign star ratings in the Library or Develop modules simply by pressing the numeric keys from 0 to 5 to assign none to a maximum of 5 stars to an image, but if you prefer you can us the mouse to click on the star icons in the toolbox to achieve the same end (Tip: you can show or hide the Toolbar by using the T quick key). Rather interestingly, using keys 6 through to 9 will assign the colours red, yellow, green or blue to the images respectively, although there doesn’t appear to be a quick key to set the last colour purple. Thus it is possible to rate an image, albeit rather quirkily, from 0 to 9, although I don’t know any photographers that do this. Note that if you also hold the shift key down whilst pressing a numeric key, the image will be assigned the appropriate star or colour rating and then next image displayed, thus allowing you to move through your image collections whilst rating them. You can also use the right or left square-bracket keys to promote or demote the ranking of an image. For most photographers a simple Star Rating system of assigning 1 to 5 stars seem to be the most common form of rating, with no stars left for unrated or un-judged photographs, 5 stars reserved for the very best or portfolio quality images, and star rating in-between for images of varying quality. But what actually constitutes a portfolio image, and what distinguishes a 3 star image from a 4 star image? Do photographers simply apply a varying degree of quality assignment from visual inspection on the computer monitor? Well talking to several, it would seem that’s exactly what they do. However when asked it seems very few could elaborate in any detail how a 2 star image would differ from a 3 star image, or a 3 star from a 4 star image. Poor images and the very best images are probably the easiest to rate, but those in-between are not quite so easy and it seems that most ratings rather depend on how the individual photographer assesses the image on screen at one particular moment in time and then simply prescribes an arbitrary value of 0 to 5. Of course there is nothing wrong with this type of assessment as this system obviously works and perhaps is all that is required for many photographers. Our poorest and very best images are usually the most obvious to us anyway, but how often have you revisited an image at a later date and changed the rating? I’m sure almost all of you have done that at some time, and perhaps down graded images and upgraded some images in a later reassessment. It’s clear that rating images can be a very subjective, emotional and perhaps an emotive process for photographers. As digital photographers, let’s be honest, we all tend to shoot a vast amount of images, far more than were ever acquired when we shot film, so it’s no surprise that sometimes good images can be often overlooked or missed out on our initial assessments. A common process is to find the first good image in a sequence of similar images, and commence work on that one, without perhaps, fully inspecting the rest within the sequence. I know I’m frequently guilty of this myself. Time constraints, computer processing time, library size, the sheer abundance of similar images and good old human nature lead to a propensity in selecting that first good image. Often that first good image tends to jump out at us on screen too, but it may not necessarily be the absolute best image in the sequence. I remember attending a talk once, from a well known British wildlife photographer, who stated that there will be only one 5-star image from each shoot, that his 5-star image he keeps and then he deletes the rest. I didn’t believe him for one minute of course, although he may be profoundly adept at selecting the one that sells, it’s only human nature for us to change our minds at some point, and surely there may be other images that suite other commercial purposes, even if not quite as good. Perhaps it was just his stage bravado and showmanship talking. Zero Stars – Unrated: Images that have not yet been evaluated. One Star – Neutral/Keepers: Images that are neither good enough for slideshows, or printing, nor flawed enough to be deleted. These may have sentimental or documentary value or snapshots I just whish to keep. Two Star – Good: Images good enough for 6 x 4 or 5 x7 prints and slide shows at 100%, but perhaps not really good enough for full size prints at 300 dpi. Three Star – Very Good: images I like that that are considered to be very good, are technically sharp at 100% and and can be printed at A4 or 10 x 8 in without loss of resolution. Four Star – Excellent: Images I like, think are really good, are sharp at 100%, are technically and compositionally very good to excellent, and good enough for full size prints at 300 dpi. Five Star – Portfolio: Portfolio quality images that I consider are my best photographically and technically and are suitable for extra large prints (24 x 30-inch) and of commercial or exhibition quality. My rating system has evolved over several years using Lightroom but is now part of my regular workflow, however many (most in fact) of the images in my Library still have zero stars (as yet) and remain unrated. I tend to skip to my better images, rate those and process those images first. In an ideal world I’d return to evaluate, cull or rate all my zero star images, but in reality I know that’s a pipe dream as I know for me it will be impossible to ever achieve that. Hard drive space is relatively cheap these days and as long as my Library size doesn’t effect the performance of Lightroom then I won’t waste an excessive amount of time on trying to cull all the redundant images. Obvious inferior images, those out of focus, badly exposed, and those beyond redemption I may skip at import, or cull immediately after import, but I don’t worry about leaving a huge amount of unrated images within my library folders. I will however, generally try to apply some basic keywords to a shoot (folder), then even the zero-star images may have a chance appearing within a future subject search and may of course provide some pleasant surprises. I tend to use the pick and reject flags after an initial import to highlight the good and the bad, and then apply star ratings to the picks and delete rejects. You’ll notice too that I don’t use colours for ratings either. I use colours to denote different file types, HDR and panoramic images, but that’s just me. I know some photographers use colours for portfolio shots, or for certain clients or commercial ventures, and to this effect, colour labels seem well suited. I do like the way you can specify your own colour label set in Lightroom and then when you hover your mouse pointer over the each colour in the toolbar, a description of your setting is given in the tooltip; I only wish you could do the same for your star ratings. Differentiating my 3 star from 4 star images is probably the most subjective part of my system. I may have some images that (to me) possess a wow factor visually but are technically flawed which limits their usage, so they may get down graded to 3 stars, others may be technically perfect but lack a wow factor and but may still achieve 4 stars since they are capable of being printed at large sizes. Portfolio images are usually obvious, and for me they must have a wow factor. There are many times I’ve thought I have captured a wow image only to find image deficiencies prevent it being rated with five stars once assessed on a computer screen. Thus I have a limited number of what I consider true portfolio images. I’m probably a harsh critic of my own images and perhaps lack a bit of confidence in my own abilities but that’s just me. However I do re-visit library folders occasionally to review my 3 and 4 star images and I sometimes find the odd 3 star image I think now perhaps now worthy of 4 stars or vice versa. 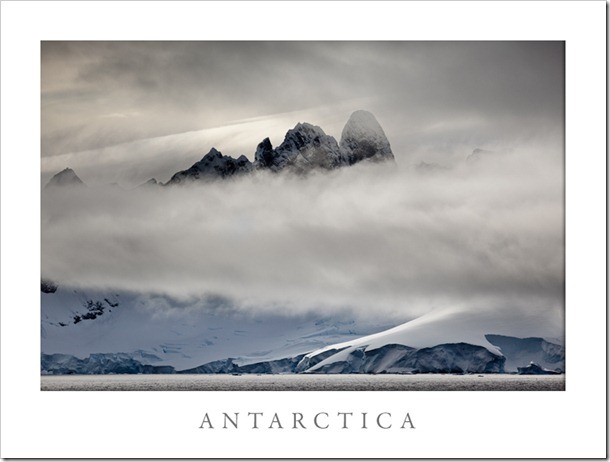 So that brings me back to my Antarctic shoot and why I haven’t rated any of my images as 5-star (yet!). Well, I guess I addressed some of the reasons in the paragraph above. I did acquire many good images, and many that I like and that I’m quite pleased with, but for me none of them just quite possessed that wow factor and some fell short on image quality. As a collective I think they look good (you can judge for yourself by visiting a gallery of some of my favourites here), but to me there are no individuals that really stand out as 5 stars for me. It’s also incredibly easy to be wowed by such an amazing location as Antarctica as it is indeed one of the most impressive places on planet earth. I looked at many Antarctica images prior to my visit, many which then I really thought had that wow factor, but now some don’t seem quite as impressive since I’ve been there and attempted some myself, but I guess that can be said when you’ve photographed any iconic location. 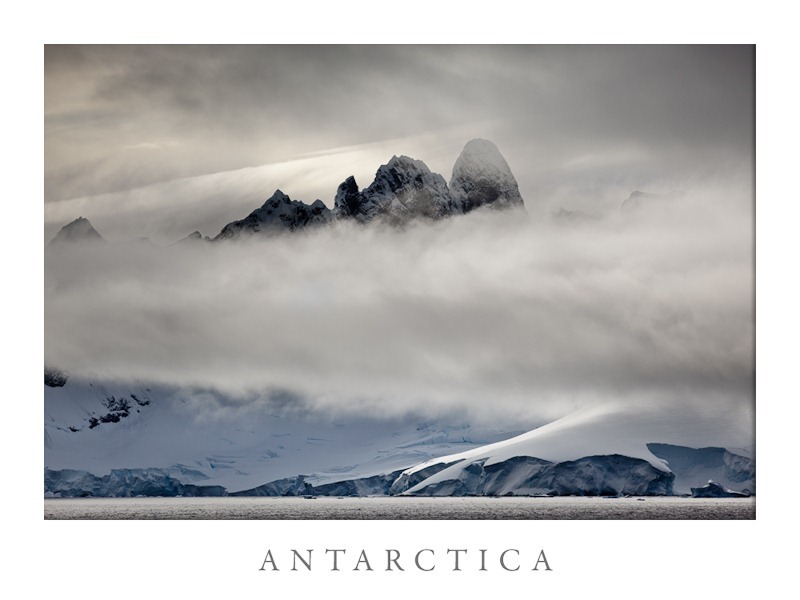 The old idiom, “familiarity breeds contempt” often springs to mind, but it’s often the place, not just photograph of the place that is the wow factor, and that certainly rings true for Antarctica. That aside, I think perhaps many of my fellow shipmates perhaps rate their 5 star images more equivalent to how I rank my 4-star images. For me 5 stars must remain “the very best of my very best” and something I feel is quite special. Rating your photographs is a very subjective and emotive process. There is no one correct system and what works for one person may not for another, so what ever you have developed may probably be the right system for you. Remember also that ratings don’t just have to be on photo quality or a “marks out of 10” system for an image, but can include other criteria such as how an image will be used. The key is to define a set of rating criteria and try to be consistent in your method. Occasionally think about revisiting and re-evaluating some of photographs from time to time, check to see if you missed some hidden gem, or been too harsh or lenient with others, you may just get some surprises. If you have an interesting way of rating your pictures leave a comment and let me know.